One of the most consistent NBA teams of the last few decades, the San Antonio Spurs know how to win and their five titles since 1999 show they can get the job done. Their past is not as strong as other elite franchises, but their recent lineups are filled with tremendous talent. Thanks to their winning ways, the San Antonio Spurs are a popular option with fans and collectors. 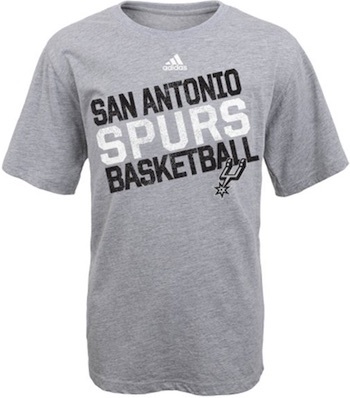 The following guide is intended to help the gift shopping process for supporters of the Spurs. 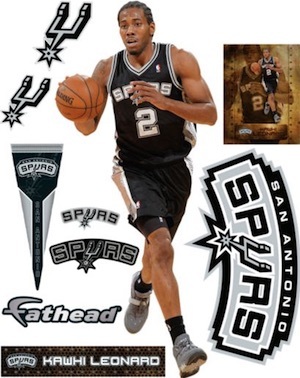 While this guide is a resource for birthday and holiday gift shopping, collectors who are looking for detailed information on the team should check out our comprehensive San Antonio Spurs Collecting Guide. 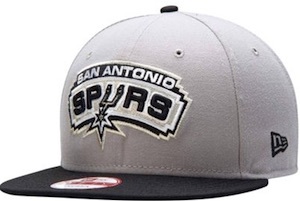 The list below features 20 suggestions for great presents to give to a fan or collector of the San Antonio Spurs. The guide includes both specific and broad gift ideas and a wide variety of price points so nearly all budgets are covered. Part of four title runs with the Spurs, Tony Parker has additional appeal for some fans and collectors due to his French nationality. 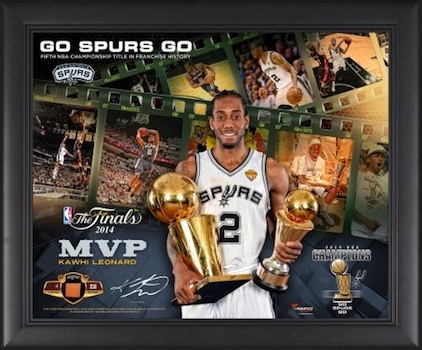 The 2007 Finals MVP is a great gift option and signed photos offer the cheapest prices and the most variety of choices. One of the biggest names from the early years of the Spurs, George Gervin is a Hall of Fame player renowned for his finger roll layup. 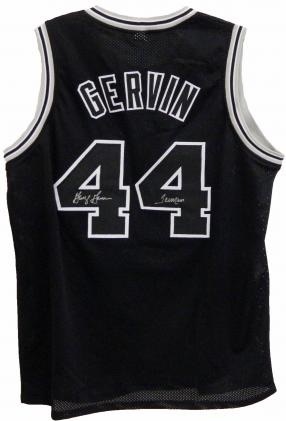 A signed jersey for George "The Iceman" Gervin offers a terrific display piece that is ideal for a man cave. His game may appear boring to the average fan but Tim Duncan is a special basketball talent and his game remains strong despite closing in on 40. 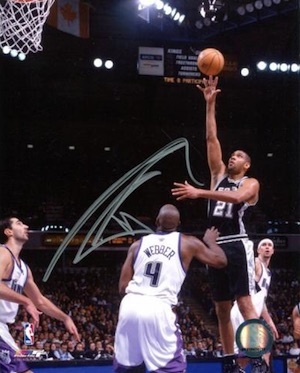 While signed gear for Duncan is not the easiest thing to find and values have increased in recent years, Tim Duncan is a fan favorite and arguably the best option for a fan or collector. The other half of the famed "Twin Towers" that brought the Spurs their first title in 1999, David Robinson teamed up with a young Tim Duncan to win a second title in 2003. 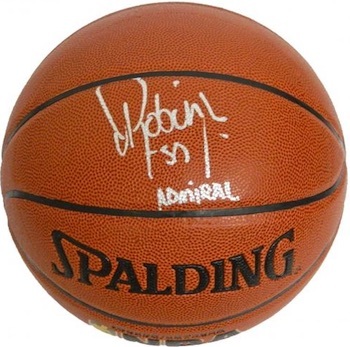 Known by many as "The Admiral," signed basketballs from the Hall of Fame great are a sweet gift option. Another key piece of the current squad with international ties, Manu Ginobili played in Italy and Argentina before he came to the NBA. This framed collage presents a display piece that is suitable for any setting. 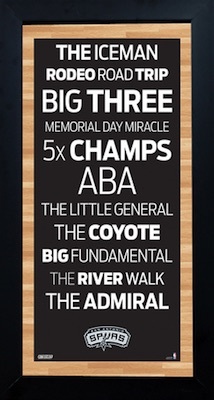 View other plaques and collages for the Spurs here. One of the few key young players on the 2014 title team, Kawhi Leonard is a star on the rise. While his signed memorabilia remains hard to come by, this quality framed image presents a nice reminder of this MVP play in the 2014 Finals. 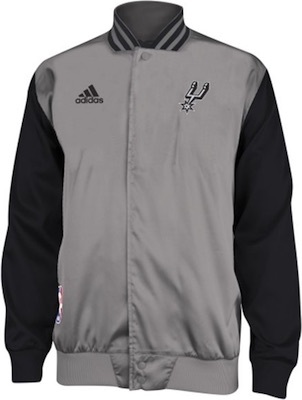 Check out other 2014 Finals collectibles and apparel here. 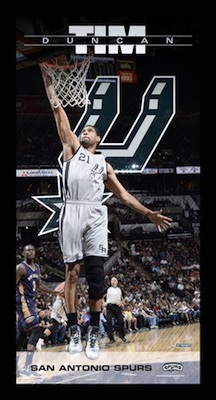 If you are looking for a classy display piece that is a little more gentle on the pocket book, this framed wall art for Tim Duncan is an appealing option. 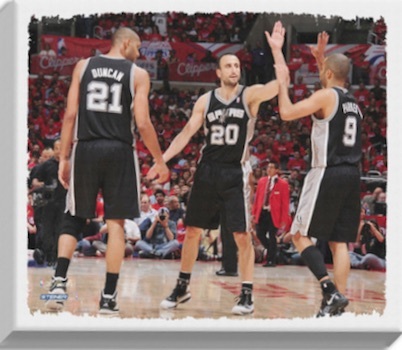 The Spurs' "Big Three" of Duncan, Parker and Ginobili have four titles together and are showcased on this canvas print. While the piece can be displayed as is, it would look even better if it were signed. 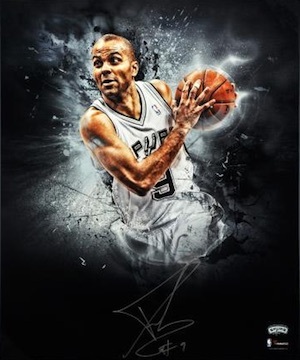 Multiple sizes are available as well as an image with just Tony Parker. With notable headlines listed as stops on a subway, the framed piece for the Spurs touches on some of the biggest moments and figures from the team's history. Several size options exist allowing for budget and mid-level gifts. 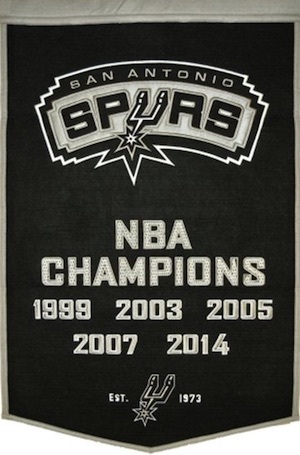 A game room or man cave for a Spurs fan would not be complete without this quality wool banner. Each of the five titles is noted and the heavy black and silver presents a dynamic look. 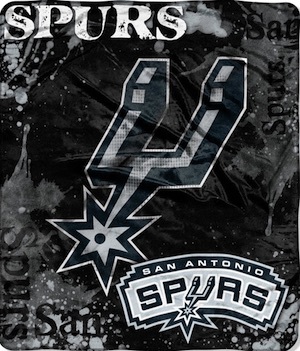 Another item heavy on silver and black, a blanket for the Spurs is a fun budget gift or stocking stuffer. 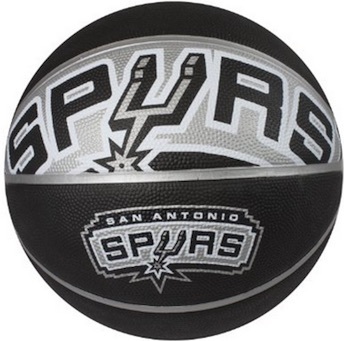 When talking about the Spurs, a team basketball is a very appropriate gift. The oversized logo gives the basketball a bold design and would be a great combo gift along with the blanket above. Basketball cards are a popular option for fans, but they are not as simple to buy because they are so specific. 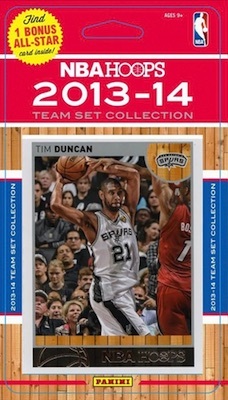 One option we recommend for budget gifts or stocking stuffers is San Antonio Spurs team sets. Some are sealed and some are hand-collated, but the result is the same. Make sure to verify the year of the card and the players included to make sure you are getting what you expect. 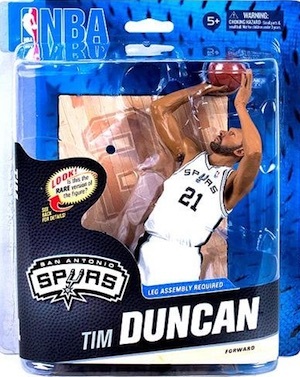 Whether shopping for a child or an adult, San Antonio Spurs figures and bobbleheads can be a great gift. Several different brands offer a variety of options and many players can be found from the history of the franchise. Check out specific figures on eBay using the links below. There are a good variety of different San Antonio Spurs team fatheads. In addition to team logo versions, players are some of the top Fatheads and three of the most popular Spurs are noted below. 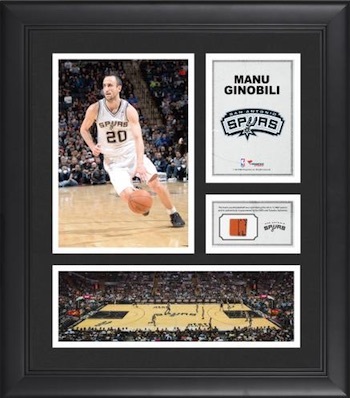 Smartphones are the new norm and can make for an easy and inexpensive gift for a San Antonio Spurs fan. Just make sure to verify the exact make and model before you buy. We have included direct links to Amazon below for the most popular phone models. 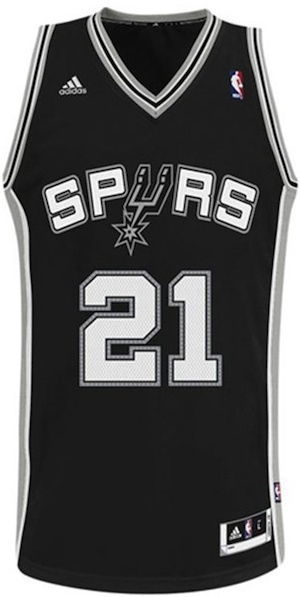 Jerseys remain the most common way for fans to display their love of the San Antonio Spurs. Replica versions offer cheaper prices and fans can also have them customized for added appeal. If you are overwhelmed by the many versions, check our detailed NBA jersey guide here.